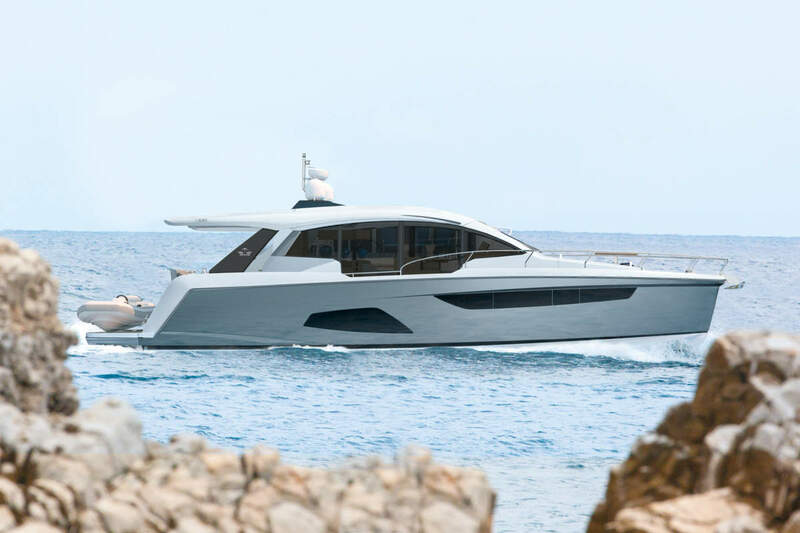 British boat builder, Plymouth-based Princess Yachts International reveals its new Princess 72 Motor Yacht which perfectly combines the elegance and detail of a true motor yacht with the agility and performance of a sports cruiser. Defined by her exquisite elegance and refined style the Princess 72 Motor Yacht is the ultimate craft for combining luxurious long range cruising and sophisticated entertaining. 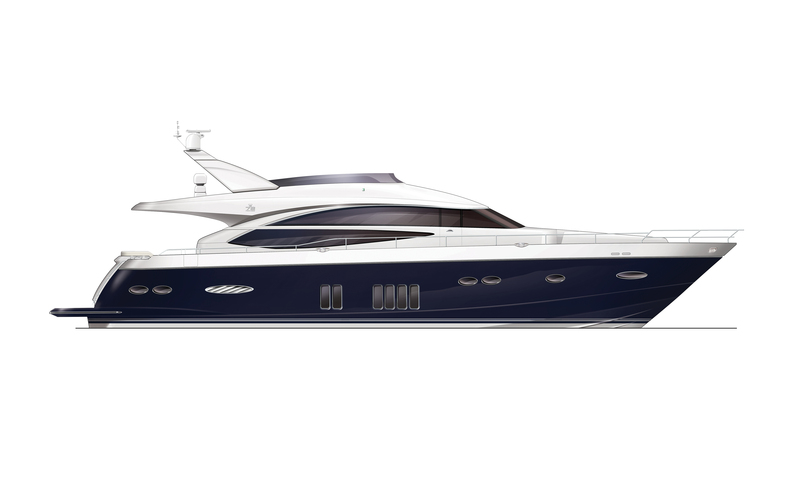 For her size and class the Princess 72 Motor Yacht introduces new standards in design, space and finish. She displays all the characteristics that define a Princess motor yacht – a deep V hull resin-infused for weight-reducing efficiency, and clean flowing lines that epitomise her elegant styling – all adding to her effortless power, grace and poise at sea. From the expansive and stylish flybridge, the upper helm position provides exceptional visibility and benefits from a comprehensive array of dual controls, all of which can be cleverly concealed from view at the touch of a button when not in use. The wetbar, barbeque and generous space of the flybridge also make for a wonderful alfresco entertaining space. A contemporary style is evident throughout, with an inspired use of fabrics, luxurious upholstery and stunning detailing. All the way through there is a generous sense of space – large panoramic windows flood the full-width main deck saloon with natural light, and the intelligent layout visually connects each area to make a single, expansive entertaining space yet each remains beautifully defined and separate for more intimate use. 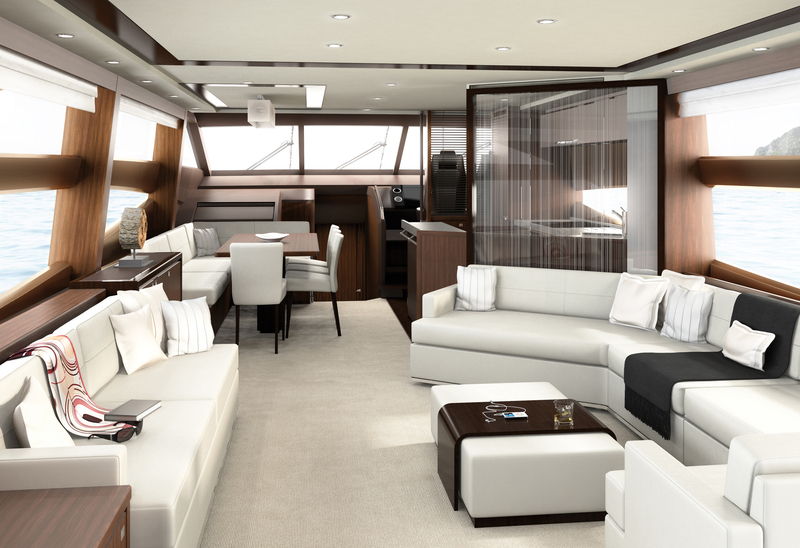 The main deck saloon creates an impressive area for entertaining with a large dinette and cocktail bar. Sliding doors open up to a well appointed cockpit, perfect for more casual dining, and the walk-through bow and forward seating makes an ideal area to enjoy a peaceful aperitif. The spacious, light and elegant cabins accommodate up to eight guests in contemporary luxury, with additional cabin space for two crew. 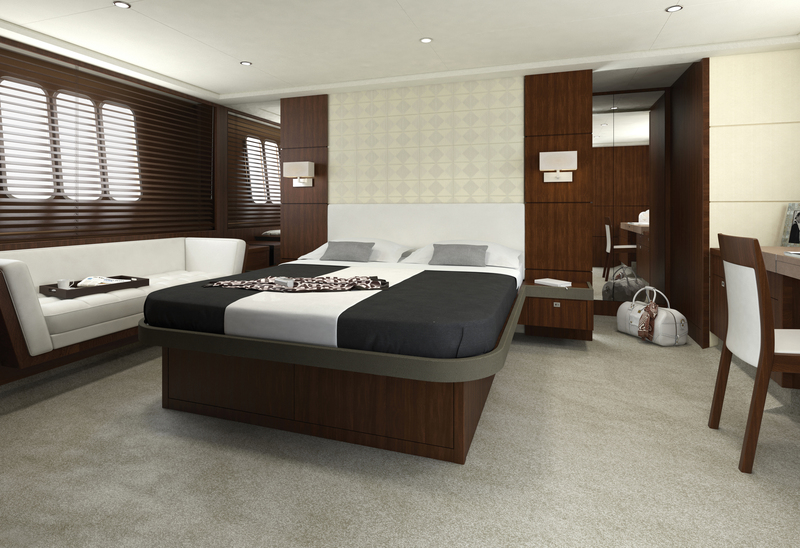 There are three beautifully designed staterooms and a generous fourth cabin with twin berths side-by-side. The striking full-beam master cabin has a wonderful sense of space, a feeling accentuated by the extensive walk-in wardrobe and large en-suite bathroom featuring twin washbasins and shower. Onboard the Princess 72 Motor Yacht there’s plenty of room to store the tender or a wetbike away from the entertaining spaces. The Princess 72 Motor Yacht joins the Princess range of sophisticated motor yachts, classic flybridge craft, dynamic V Class sporting yachts and new M Class – the ultimate Princess.